Neem oil is an extract made from the pressed seeds of the neem tree (Azadirachta indica) -- a tree native to India. It's not a new discovery. Indians have used neem oil, leaves and seeds for centuries to heal all kinds of medical ailments, as well as to control infestations of their crops by pests. The active ingredient is azadireachtin -- an organic product that destroys insects by causing them to stop feeding and laying eggs. It has also been proven to repel bugs from even getting on your plants. Neem-based products have been tested extensively and proven to be an effective insecticide and fungicide indoors and out. It's widely used in greenhouses as a safer, organic alternative to toxic products. Neem oil solidifies even at room temperature. Mixed with water, it's a sprayable form and is easy to use to saturate the entire plant. Bon-Neem for house plants is a neem oil insecticide that's particularly effective. You can use it to safely treat your house plants for mealybugs, aphids, whiteflies, thrips and fungus gnats. It kills many other bugs, too. 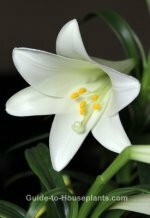 However, these are the most commonly found on indoor plants. What about beneficial insects? Not all bugs are bad. Some are beneficial to plants because they eat the insects that feast on your plants. One of the many benefits of using neem oil insecticide is that it doesn't harm beneficial insects, such as lady bugs because they don't eat your plants. They'd rather make lunch out of aphids and other plant destroyers. Of course, you don't want insects in your home. But if you move your plants outside for any length of time, you may expose your neem-treated plant to the good bugs. Don't worry -- they won't be harmed. How it works. Neem oil doesn't instantly kill the insects. It causes them to lose their appetites so they starve to death. It also reduces female fertility and inhibits reproduction. Usually, 2-3 applications are necessary, to affect every life stage. How to use neem oil. 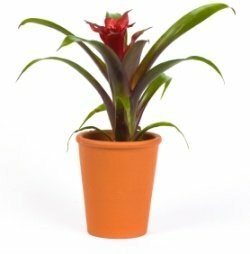 The product is mixed with water and sprayed directly on house plants. Spray the stems and undersides of the leaves as well because that's where most bugs hide. Also spray the surface of the soil because many insects lay eggs in the soil. You want to get eggs and larvae, too. Safety Tips. Read and follow all directions and precautions on the product label before using any insecticide. Take precautions with all insecticides -- even those labeled organic or natural. Spray insecticides outdoors, wear goggles to protect your eyes, and avoid inhaling fumes. Neem oil is harmful if swallowed. Don't use it where food is prepared. Read labels carefully. Be sure that the product you use is intended for your plant or pest problem. Keep neem oil solutions out of the reach of children and pets. It should not be ingested. Inspect all of your house plants regularly for signs of insects. While watering them, spend a little time to look them over. Some bugs hitch a ride from the garden center, so examine new plants carefully before bringing them indoors. These pests will likely attack your other house plants, too. Many tests have shown neem oil to effectively control black spot, fungus and powdery mildew -- common problems that sometimes affect house plants, especially ivy and flowering plants. Spray leaves with neem oil mixed with 2 teaspoons of baking soda. Although this treatment won't get rid of fungus already on the plant, it will prevent the spread of fungus and mildew. Neem oil products -- once difficult to find -- are becoming more common. As the benefits of neem are becoming known, more garden centers are stocking neem oil insectide. 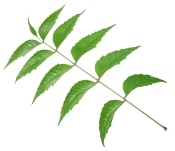 Many online stores also offer neem products for sale.